Alcon is a lightweight logging and debugging tool for Flash developers who want to quickly get debugging information from their projects. 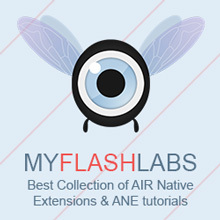 It offers an easy to use API for use in your source code which sends debug information to an output console from any kind of Flash-based runtime, be it the web Flash player, the standalone Flash player or the AIR runtime. Besides simple logging, Alcon comes packed with several other useful features like an app monitor to watch your application’s framerate and memory consumption, an object inspector to check object properties, a stopwatch, a feature to quickly check key and character codes and a lot more. Logging API: Send logging information from anywhere in your application by using the logging methods and five different filter levels (debug, info, warn, error, fatal). App Monitor: Use Alcon’s App Monitor to watch your application’s framerate and memory consumption. Object Inspector: Check properties of any object recursively by inspecting them with the Object Inspector or by tracing them with traceObj(). Stopwatch: Check how long any operation in your application takes by measuring it’s execution time with the Stopwatch API. Hex Dump: Output any object as a hexadecimal dump. Key Tracer: The built-in Key Tracer can be used to quickly check what key and/or character code any pressed key is associated with. Options: Configure options like the output font and colors to your preference. Built-in Help: Use Alcon’s built-in help and API documentation to quickly get started. Keyboard Shortcuts: Use quick keyboard shortcuts to pause, clear, reset or scroll the console. Disabling: The whole Alcon API can be quickly disabled with one simple method call, useful for going live without removing the debug code.